The benefits of three-dimensional (3D) geoinformation were evaluated in an international study. In use cases examined in isolation, the benefits were estimated to be at least twofold or even threefold compared to the costs. An analysis of 3D geoinformation was undertaken in a EuroSDR (European Spatial Data Research) project in collaboration with the National Land Survey of Finland and 10 other European national and regional mapping agencies. 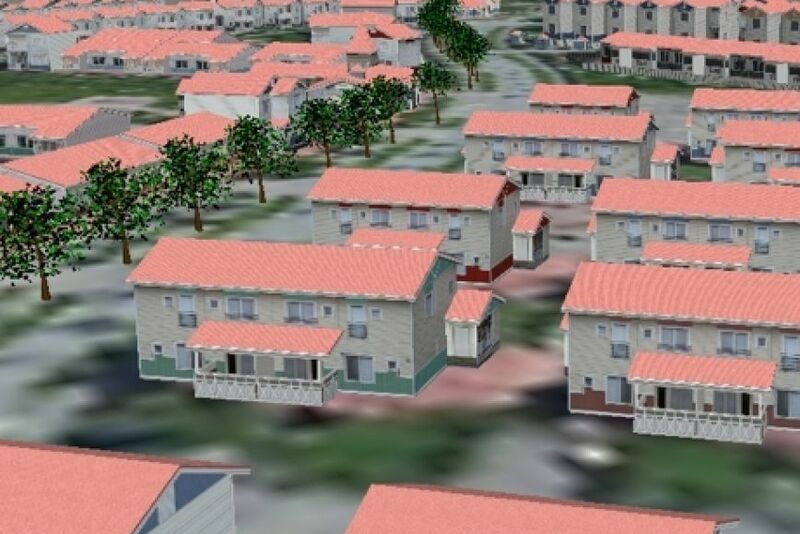 The use of 3D geoinformation has rapidly developed in recent years. Technological advances have driven this evolution and reduced the costs involved in the procurement and processing of 3D geoinformation. National mapping agencies are actively seeking to make available modern 3D geoinformation products that meet the demand. The allocation of government funding requires, however, that benefits and costs have been thoroughly evaluated. EuroSDR has published a business case analysis of 3D geoinformation called ”Assessing the Economic Value of 3D Geo-Information”. The analysis undertaken was structured around use cases and employed two methodologies: value chain analysis and cost-benefit analysis. Value chain analysis identifies the connections between the supply and demand sides of a product or service and qualitatively identifies the value added to the end-user. Value chain analysis was applied in expert workshops to six potential use cases: forestry management, flood management, 3D cadastre and valuation, resilience (civil contingency), asset management and urban planning. Cost-benefit analysis facilitates an estimation of return on investment (ROI) by quantifying the costs and quantifiable benefits that arise from an investment over a defined period of time. Two use cases were selected for further study using cost-benefit analysis. Urban planning produced a cost-benefit ratio of over 1:2. The flood risk management use case was evaluated using three different approaches, which gave a cost-benefit ratio of approximately 1:3, possibly reflecting the significant economic damage caused by flooding. The results of the project indicate that there is a significant positive return on investment from 3D geoinformation when considering the two use cases in isolation. When 3D geoinformation is used in several use cases the costs will increase incrementally, but the benefits of such re-use are additive, meaning that the case for investment becomes stronger as each additional application is implemented.